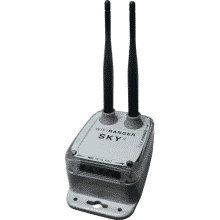 The WiFiRanger Sky4 DC brings in distant WIFI from up to 2 miles away in marine environment and a secure wireless network for all computers and devices. 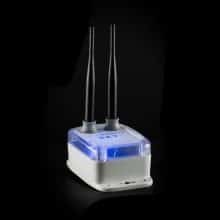 While the Sky4 DC does not have an indoor router with USB or LAN access, it provides a powerful boost to otherwise weak WiFi Hotspots and a private WiFi network for all wireless devices. IP67 Waterproof Rated.